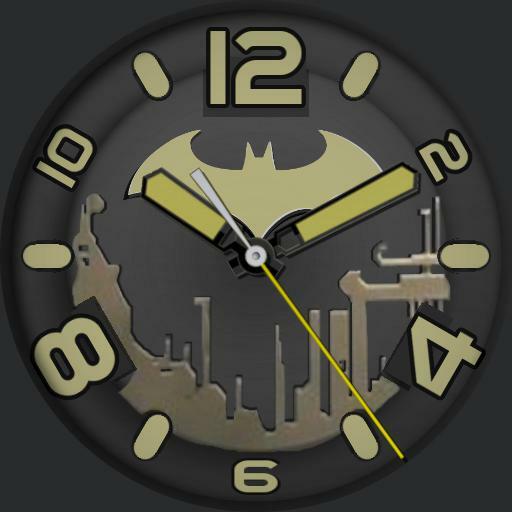 This was a Batman watch I saw on superherostuff.com. Its probably a cheap watch, but I liked the style so here it is, as close to the original as I could get it. All done in Watchmaker app except for the Gotham skyline I cut from the watch picture. And the hands I borrowed from someone else. Id give credit but I honestly dont remember who it was probably came from Sander Zedonite but not sure. Ill probably do a silver version for myself just because I dont care for gold but if anyone else is interested, let me know and Ill upload that one too.